A Freeport man has been arrested after planting bullet casings and reporting a shooting. Freeport, NY - February 12, 2014 - The First Squad reports the arrest of a Freeport man for Tampering with Physical Evidence on Tuesday, February 11, 2014 at 11:15 pm in Freeport. According to detectives, on December 10, 2013 the defendant Juan R. Rodriguez, 42, of 164 Pine Street filed a report with the Freeport Police Department stating that his wife’s boyfriend had threatened him with a rifle. On January 31, 2014 Rodriguez reported to police that he was the victim of an attempted murder. He stated that he was walking on Pine Street near Taft Place when he observed his wife and her boyfriend pointing guns at him while yelling. Rodriguez said as he ran down Pine Street back home the two began shooting at him. After getting back to his apartment Rodriguez further reports that another man hiding next to a dumpster in the rear adjacent parking lot fired two shots at him. An investigation revealed that the defendant Juan Rodriguez placed evidence at the scene of the shooting along Taft place that included three.223 bullet casings, one .45 caliber shell casings, eight .40 caliber shell casings, and a hair clip. It was also revealed that his wife and the boyfriend were not on Pine Street at the time of the incidence. On January 31 and February 2, 2014 the defendant signed statements that he knew were false. On February 11, 2014 Rodriguez was placed into police custody at the First Precinct. Juan Rodriguez is charged with 4 counts of Tampering with Physical Evidence and two counts of False Written Statement. He will be arraigned in First District Court in Hempstead on Wednesday, February 12, 2014. 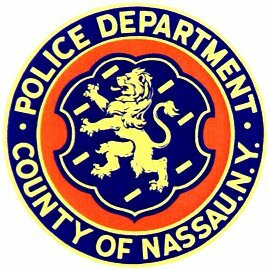 Subject: LongIsland.com - Your Name sent you Article details of "Freeport Man Arrested for Tampering with Evidence"